Young Black Jack - First Impressions! This first impression / review will be from the point of view of somebody not familiar with the original manga / anime, so hope it isn't bad! Wow, who knew an anime focused on surgery could be this good? To start with, the character Kuroo Hazama is the oddball of all the students in this Hospital University, but nobody truly knows his little talents. A first hint at his 'talent' is when we see him sitting alone on the bench in some sort of dream state, mumbling out surgical steps and weaving his hands around as if he's stitching somebody up. Whilst watching Hazama perform his first surgery, specifically a seemingly impossible task to re-attach some limbs onto a child, we can see that he's had some sort of training or something, and has a backstory related to surgery, but it was never explained in this first episode. It's sorta reminding me of Soma where they both take on a challenge that seems impossible, but they practically pull it off perfectly. As for other side characters and small story bits, it seems that in the present time of the show ( in the 1960s ), there's protesting going on for certain reasons. Throughout the show, we see and meet certain characters with rather unique styles to their appearance, which I suppose could be given the funky design of the characters in the original manga's work. We're also introduced to Yabu, who at the moment seems to be a troubled character, but we don't learn much about him, besides that he's an old friend of Hazama's. Last character who I feel will be important later on is Maiko Okamoto, the nurse who seems to partner up with Hazama for his first surgery. She's nothing major or special, but I feel as if she will play a bigger role later on in the anime. The animation was also very well done, especially at the moments where he's doing surgery, and we can see how swiftly he works the scalpel and thread. I'm very interested to learn more about Hazama, and to find out what exactly happened to him to give him the patchy look on his face and many scars. This first episode gives me excitement, I can't wait to see what direction this anime leads! I highly recommend you give the first episode a try, it will be worth the watch! This show, I had ZERO expectations for. The PV that came out last month (or was it August? I can't recall at this moment in time) showed some different animation and BJ looked VERY, VERY creepy in design much different then the design from the 2004 anime, in which he's a very sweet looking character even with his scars. While I still LOVE and adore the first series (which can also be viewed here but they need to get the rest of the series) and I recommend people watch that in conjunction with this... There was some things I felt weren't needed. The "thorns" transition, I didn't like and BJ isn't supposed to be THAT buff. He's well built but not super buff. So that knocked off a point. What I like is the characters, the story is actually pretty solid and BJ is still the big ol'softy I know him as. I hope he doesn't turn into the jerk from the OVA's from back in the 90's. THAT BJ I didn't like at all. Speaking as a long time fan of this character, I did not have high expectations especially after the live action movie "Young Black Jack" which was horrible. The fact it shares titles with this saddens me. I hope people who view this will also go on to view the original series' heck... If it does well enough maybe the original will even get licensed and a decent dub. FUNImation I'm looking at you! A prequel that does the series justice! 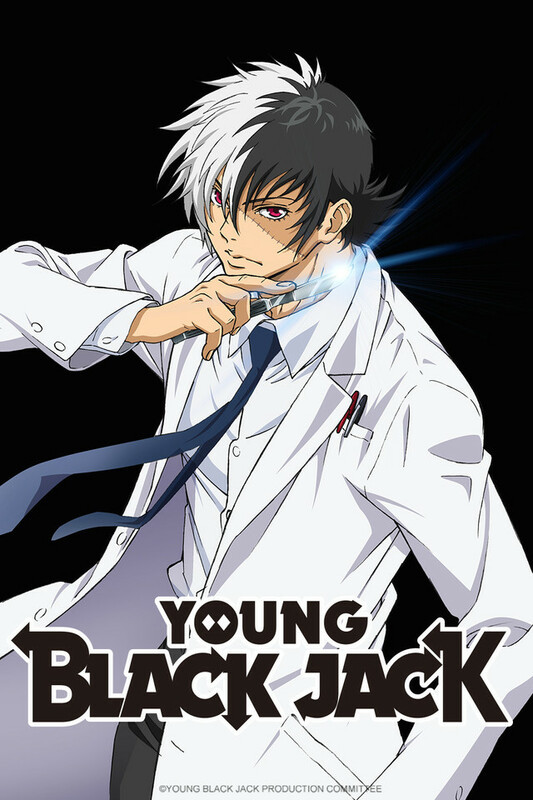 I'm a long time fan of Dr. Black Jack and this anime is to a great start I must say. Its beautiful, and it really knows how to create the right mood and pacing every step of the way. I'd suggest this to long time fans and newcomers alike, no prior knowledge of the series should be necessary. I am undeniably biased, as Black Jack is my medical drama true love. So obviously I like this show. It's, like, shojo Black Jack. Which is, of course, perfect. For a hot second I thought he was going to have a transformation sequence when he scrubbed in for surgery. This review got four instead of five stars because this did not happen. This anime is good, I find it is good at keeping you interested (so far) and has a nice variety between episodes. I would recommend watching this anime, i hope it continues to have a nice amount of variation and it seems to have character development. The history it covers has been well placed to draw you further into the show (which is a good thing) and helps give you a nice character perspective through out the show so far. This appears to be an interesting take on a classic series. I found myself really intrigued by the characters, as well as the general flow of the story. In particular, I found that they were able to place into pictures the intensity of the the operating room, as well as reflecting the general feel of the protagonist, Hazama. While this is only one episode in, I think its safe to say that I am in for the long run!